Thank you for visiting the official web site Clarendon County Sheriff’s Office. On behalf of all the employees we appreciate your interest in our office. The intent of this page is to provide the citizens of Clarendon County with convenient access to information to the Clarendon County Sheriff’s Office. 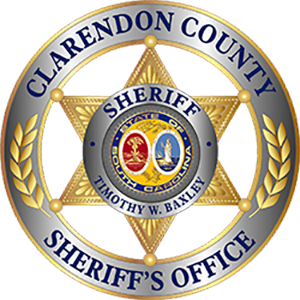 Clarendon County Citizens will be able to obtain information on the operations of the Clarendon County Sheriff’s Office. This web site includes office phone numbers, addresses, hours of operation, forms, and other links available to the public. The mission of the Clarendon County Sheriff’s Office is to serve and protect every member of our community. We are committed to providing the highest level of professionalism with efficient and effective service to every citizen, business owner and visitor of Clarendon County. As trusted public servants, we strive to build a safe community in preventing crime and the fear of crime across Clarendon County. I appreciate you taking the time to inquire about the Clarendon County Sheriff’s Office and I am honored to serve as the sheriff of our great county.